I’m not going to lie. I feel a little bit uncomfortable writing this post… but one of the kids’ teachers asked me to. Because my Pixie–my just-barely-turned-six kindergartner–has to leave her kindergarten classroom every day to go have English/Language Arts with the big kids. She has read The Wonderful Wizard of Oz by herself, and at her request. She powers through the American Girls books like nobody’s business, and last year she happily read things like The Spiderwick Chronicles and The Lion, the Witch and the Wardrobe. Now she is enjoying–can you even use that word to describe them?—The Series of Unfortunate Events. “That’s a fourth grade reading level,” the kids’ Fabulous Principal said. Apparently I was completely unaware of how impressed I should have been. And why should I be? My only other experience with a Reading Child was the Boy… and he had polished off Harry Potter And The Sorcerer’s Stone before Halloween the year he was in kindergarten. Now, in fourth grade, he has inhaled the Percy Jackson books at a rate that sent me to the bookstore three times in one week, is tackling the Iliad (thank you, Percy Jackson !) and has read all 2,512 pages of the Fablehaven series since Christmas. But I am also stating my qualifications… such as they are. Because I’m not a teacher. I don’t have a degree in education. I don’t homeschool. I am prone to losing my temper and using age-inappropriate words in the presence of my children. And I am not talking about multi-syllabic, ace-your-SATs sort of words either; think more short-and-to-the-point, Old English sort of words. And you want me to write a post on How to Raise a Clever Reader? “But I haven’t done anything!” I told the kids’ teacher. “Obviously you have,” she said. So I went home and thought about it. I quizzed my husband and children and friends. I procrastinated. A lot. You. And your co-parent. You really need to love books. You need to enjoy the written word. If you don’t happen to love books, you can always fake it… and if you do the thing properly, I think you will soon find that you do actually come to love books. Books are sneaky that way. No, I don’t mean read to the kids–we’ll get to that part later. I mean sit down with a good book (and maybe a cup of tea!) and read. And it is important for the kids to see you do it. You can even ignore the kids for a little while while you are reading. Things like, “I’m going to read for another fifteen minutes, and then we’ll build trains,” or “Just let me finish this chapter and then I’ll start dinner,” are actually good for your children to hear on a number of levels–but especially when it comes to fostering a love of books. You have just taught your children that reading is an important and pleasurable activity. For this to work, though, you really need to be reading an ink-and-paper book. While I’m sure that e-readers are wonderful things, if you are simply staring at a screen, how would your little one know you are reading a book, and not just checking Facebook, playing a game, or reading a fabulous blog? Keep books in the house. I might have a teeny-tiny book-buying problem… though the upper stories of my house have not yet fallen into the basement due to the weight of the books, so I say we’re good. My books are necessary: decorative items, as well as useful tools. It gives me pleasure to see my rows of my hardcover Harry Potter and Outlander books lining the shelves. And I find great joy in looking up words in my great-grandfather’s 1916 leather-bound dictionary–though it’s not always all that useful; words change, you know. And where would my husband be without ready access to The Illustrated History of Weaponry ? We browse cookbooks looking for dinner ideas and reach for reference books (at least sometimes) before resorting to Google. But, seriously, read to your kids starting the day they are born… if not before. If they have been born for a while, start right now. I will never forget… we started reading Harry Potter And The Sorcerer’s Stone to the Boy the day we brought him home from the hospital, all curled up in bed together… and we’ve read to him (and now the Pixie, too) almost every night since. Obviously everything is above a newborn’s “pay grade,” and yet he will quickly learn that reading is a warm, cozy time full of love and cuddles and the sound of Mommy or Daddy’s voice. As he gets older, this will carry over into being entertained by words–not just pictures–and he will get used to long words, descriptive phrases, and language that is not necessarily included in picture books. We always chose to read chapter books at bedtime, when the kids were cuddly and sleepy already. Do the voices. Read with inflection. Shout, if necessary. Go right ahead and let the Bear “gnarl and snarl and roar and rumble.” It’s all kinds of fun, kids love it, and it can be a great stress-reliever, too! Pick books with parts for your kids, too. Even a baby can do the “pat-a-pat, pat-a-pat, pat” part of Wet Dog or make kissing noises for Kiss Kiss . When they get a little older, they can have their very own lines. “It was round. It was red. It bounced on his bed. Bouncy, bouncy…” and your child will triumphantly shout, “ Ball! ” Maybe you will point to the word “ball” while he does. Keep stories in story time. Save books about shapes, colors, and farm animals for learning about shapes and colors and farm animals. These books are all excellent tools… and it’s wonderful to read non-fiction books, too, but most of them are not story books. Stories don’t need to be long…The Very Hungry Caterpillar , A Color of His Own , and Baby Loves are all fairly short, cute stories. However, if your kid is interested in dinosaurs, sharks, castles, or whatever, be sure to read about them, too! Teach children how to handle books. Board books are great for this (plus tucking into the diaper bag for reading while you’re waiting at the doctor’s office!) because they are fairly indestructible. And, also cheap. But children should learn how to “read” books without tearing the pages when they are still young. My kids have always sat and “read” books to themselves long before they could actually read. Die-hard Outlander fans are probably recall the game “The Minister’s Cat,” (at least I first heard about it in Drums of Autumn; maybe you are familiar with it from somewhere else) wherein everyone goes around describing the Minister’s Cat. The Minister’s Cat is an apathetic cat… The Minister’s Cat is an ancient cat… The Minister’s Cat is an ambidextrous cat… The Minister’s Cat is an acrobatic cat… Everyone takes a turn with each letter before moving on to the next letter. We play this game all the time… and don’t skimp on the words, either, leaving my kids spouting words like “dubious,” “elegant,” and “suspicious” in everyday conversation. When they were younger we played Mama Ate, which is the same basic idea… only using nouns (though not necessarily edible ones) instead of adjectives. I have “eaten” my fair share of elephants, radishes (yuck!) and hats to general hilarity. Even before the Pixie could identify which sounds went with which words, we always encouraged her to participate–by keeping track of what letter came next! We had these magnetic letters on our refrigerator and dishwasher for ages. The kids could find letters (often when my husband was making breakfast, he would request specific letters), or even spell simple words. We still sometimes sing it when we’re trying to sound out a word! Be wary of “read for 30 minutes a day” mandates. There are probably kids out there who wouldn’t read at all if it wasn’t assigned as homework. Recently I saw the horrifying statistic that 80% of U.S. families did not buy or read a book last year. Yikes! But for Clever Readers… mandates like these are likely to have the opposite effect. Sort of like the well-meaning aunt who compliments your children for eating all their broccoli–it gets your kids wondering, Why wouldn’t I want to eat broccoli? Reading mandates can easily convince children that an activity they thought was pleasurable and purely for fun is, in fact, a chore. We make sure that for our kids, reading is always for fun or for learning interesting things. Tell me, what do you do to raise a Clever Reader? 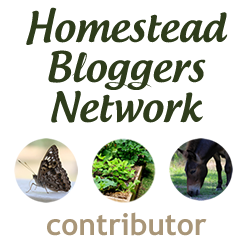 This post has been shared at Simply Natural Saturdays, The Homestead Barn Hop, Thank Goodness It’s Monday, Mostly Homemade Mondays, and Natural Living Monday. 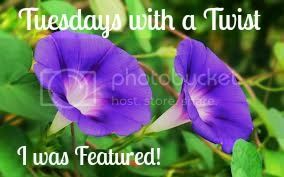 And Tuesdays with a Twist, The Backyard Farming Connection, The MaMade Blog Hop, List it Tuesdays, the Healthy, Happy, Green & Natural Blog Hop, Raising Homemakers, Wellness Wednesday, Fresh Food Wednesday, Whimsy Wednesday, Wildcrafting Wednesday, and the HomeAcre Hop. And Natural Family Friday, Real Food Fridays, and Freedom Fridays. And Simple Saturday, Clever Chicks Blog Hop, Simple Life Sunday, The Sunday Social Blog Hop, and Gratitude Sundays, The Gathering Spot, Tuned-in Tuesday, The Down Home Blog Hop, and Tuesday Greens. And the Mountain Woman Rendezvous and Simple Lives Thursday. 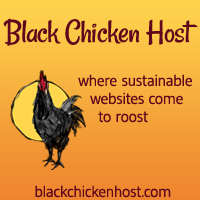 And The 104 Homestead Blog Hop, Old-Fashioned Fridays, and Unprocessed Fridays. Tagged books, learning to read, love of books, reading, teaching reading. Bookmark the permalink. This is a wonderful post! I appreciate the way you illustrate reading well is a way of life, that ALL members of the family are involved and that choosing books “above the kids’ pay grade” is a good thing. Perfect, perfect, perfect! Love, a former teacher! Thanks for sharing on Thank Goodness it’s Monday. My kids are teenagers now, one loves to read, and the other doesn’t love it as much but has always been advanced for his age. Both nerds, my husband and I did everything on your list, but I’m not totally sure our kids are good readers and high achievers because of that. Some kids are just more interested and more capable than others by nature, imo. So while I think your list is great, I don’t think you can turn all, or even most, kids into advanced and enthusiastic readers. Your kids might be great readers mostly because they got good genes. Anyway, it’s an interesting topic, one I thought about a lot when our kids were young, so thanks for posting about it. That was always one of my favorite things to do with the kids… get a huge pile of books and just curl up. Sometimes we still do!!! This is a great post!! I absolutely love reading and so far Eli does too, I plan to keep reading to and with him to help foster the love of reading in him as well even as he gets older 🙂 Thank you so much for sharing at the MaMade Blog Hop! I hope you’re having a great weekend! I’m so glad you got over here, too!!! Thanks for sharing your post at the HomeAcre Hop! Reading a a great activity to do with our children. I have had children read well at 5 and others that struggled until they were 8. But they all loved books. I am a reader. I grew up reading. I was a real bookworm growing up. As I grew into an adult I quit reading. It seemed to me that reading got in the way of me doing other things that I deemed more important. I limited myself to reading magazine articles and other stuff that I could read in just a few minutes. I have recently in the last six months taken up reading novels and real books again. It is a wonderful part of me that was missing, I am glad that I awoke that part of me. I still struggle with the fact that I might be missing out on other more important stuff. Finding the balance can be a challenge. Sometimes I don’t get as much done around the house, but I am happy because I am reading. My husband does not understand it. He hates to read, it is torture for him. He doesn’t read and can’t spell. We are polar opposites in this matter. He forces and bullies the kids into reading, because he knows it is important and he wishes that he was a better reader. But reading to them seems to be something that he does not value as much. His focus is on teaching them to read not to be read to. I have a son who loves to be read to, but he has dyslexia and struggles to be able to read on his own. He is in second grade and is reading at an early first grade level. His sister in kindergarten will pass him up soon. I have been struggling as how to help him. This article gives me hope for the future with him. It is hard because of his Dad’s attitude toward reading. We are trying to change it, but his negative attitude towards reading has been a part of his life for 40 plus years. It is hard to change that. I just wish I would have come back to my love of reading sooner. I am realizing as I am writing this that It is having an effect. My son has come really far in the last couple of months. If we keep reading to him and his sisters and get the “love of reading feelings” circulating through our lives, we will do well; after all, Love conquers all. Thank you for the inspiration and hope today. My children are both dyslexic which added some difficulties to them learning to read. I also read to them every day – Dr Seuss was a favourite when they were little. My daughter now has no trouble reading and has completed a university degree and works in an area that regularly requires her to read boring stuff like legal reports! I let the reading time slide as they got older – “I’m too old for that now, Mum” but became concerned when I noticed my then teenage son not reading at all unless forced to – it was too hard after a long day of struggling with school. I love this post, and I love to read. (; In many different languages, I might add! These are so great, Christine! We’re bookies, too! Talk to me about Outlander – I’ve never heard of it before until I saw a pin about it last week. Something Scottish? Educate me!